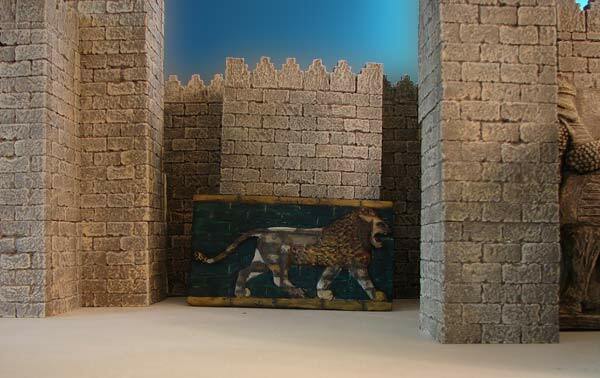 The striding lion of Babylon was made of molded brick with polychrome glaze and appeared along the side of the 'Processional Way' in ancient Babylon in 604-562 B.C. 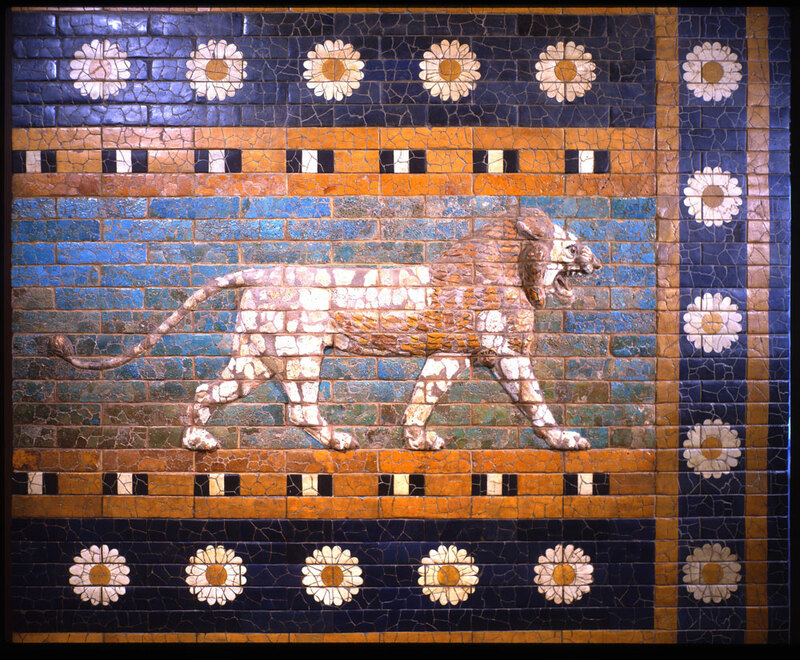 The 'Processional Way' led out of the city through the massive Ishtar Gate, the lion was the symbol of the goddess Ishtar. There were some 120 lions such as this one decorated along the walls. This painting is from a wall relief at the Oriental Institute, University of Chicago. It is 90.3 cm high and 230.5 cm wide. It was purchased in Berlin in 1931.